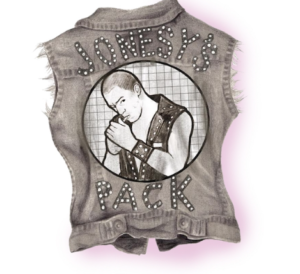 Join us for a fun, engaging, festive evening as we investigate “Jonesy’s Pack”, an exhibition featuring LA-artist Jonesy and more than 21 other contemporary LGBTQ artists, exploring identity as performance through the iconography of 50’s leather vests. This will be a great evening to enjoy our existing community and to introduce outside friends to Sholem while experiencing local art, wine, and performance. Enjoy the autumn harvest at wine-tasting tables with selections chosen specially for the event by an award-winning LA sommelier! Invest in raffle tickets for items, art work and experiences! 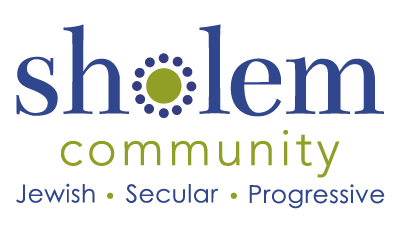 This is your opportunity to schmooze and nosh…drink wine…be inspired…meet other Sholem parents and members…have fun and support your secular Jewish community! Free belfer babysitting at a Sholem family home about 1 mile from the gallery.